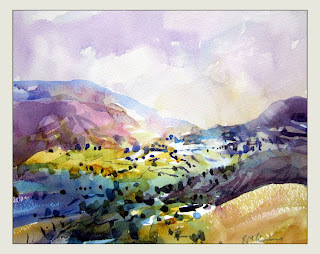 RoyTheArtist and Friends: From Catbells, watercolor. Also included here a close up of a section of the painting. Another Beauty Roy. I think I going to visit your Gallery. I like what i see very much! Thank you Maria! I am having a lot of fun, and that joy is what I try to share.